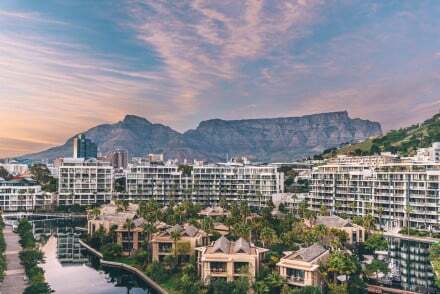 With the spectacular backdrop of Table Mountain in one direction and the glittering expanse of Table Bay in the other, Cape Town has a reputation for being one of the world's most beautiful cities. It's both rugged and delicate, rough and pristine, and photogenic as heck. 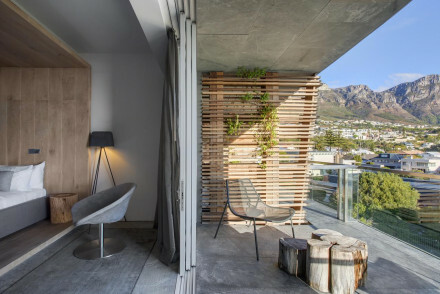 On top of the beauty, the city has a reputation for being laid back and friendly - many of the best places to stay in Cape Town reflect this attitude with their great personal service. The vineyards just out of the city, the surfing off the golden beaches and the lush green botanical gardens are also reasons to visit. Cape Town is a top place to enjoy the great outdoors. Culture vultures should try to find somewere in the De Waterkant district, home to most of the city's museums and attractions. The V&A Waterfont boasts terrific views, lovely restaurants and superb shopping, so it's a great place for romantic holidaygoers to stay. 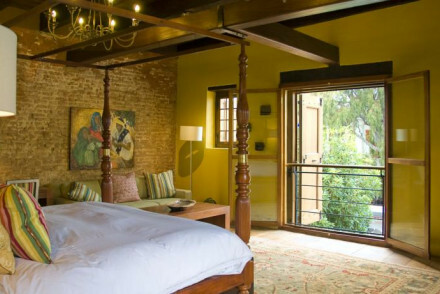 Or, for a quieter and more relaxing romantic getaway then consider the Winelands. 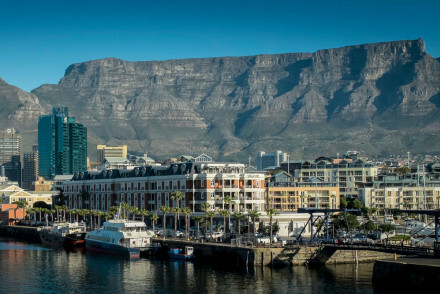 Those visiting for work should stay in the City Bowl, with Cape Town's Central Business District located in this area. As well as seeing Table Mountain from a distance it's also worth heading up, something which can be easily achieved using the cableway. 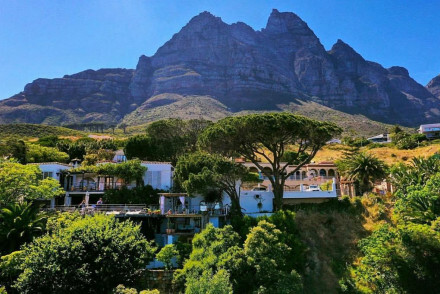 And while we're listing outdoor highlights, Kirstenbosch Botanical Gardens, the Cape of Good Hope National Park, the Lion's Head and Signal Hill - with its noon gun - and the waterfront area are all wonderful places to take in. And from Cape Town the wine regions of Stellenbosch and Constantia - South Africa's very first wine region - are just a short drive. The Two Oceans Aquarium is a great place for meeting more of the locals. And if you're a qualified diver you're even able to get into the water. If you have time, and it's the right time of year, it's definitely worth travelling to Hermanus for the whale watching. This is one of the best places in the world (on land) to whale watch - a key spot on the migration route of the Southern Right whales. Then there's the rich culture, influenced by traditions coming from all over the world. And given South Africa's challenging history Cape Town's proud multiculturalism is hard won and the cumulation of a thousand different stories - some of which you'll hopefully hear on your visit. Robben Island, where Nelson Mandela was imprisoned, is another site most people will want to visit for themselves. Head off hiking up the Lion's Head and take in the stunning views of the city at the top. Trekking up and down the mountain takes around two hours, though it's by no means a difficult walk. Be sure to bring a camera with you! Spend an afternoon by the Victoria & Albert Waterfront. This beautiful spot is full of great shops, leisure activities, restaurants and more. 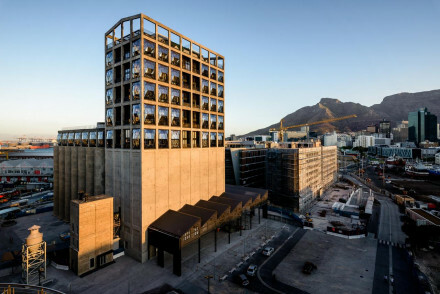 One of Cape Town's most renowned spots, it buzzes with a cosmopolitan energy. Hop on the Table Mountain Aerial Cableway for a relaxed way to experience Table Mountain's stunning views. Taking you up to the summit in around ten minutes, it offers panoramic views of the city and is perfect for those who don't fancy the long hike up! Clifton Beaches is the ideal spot to enjoy a picnic and relax with a good book. These series of pristine beaches offer unspoiled white sands and clear blue water - be warned, it may be a tad chilly though if you fancy a swim. The District Six neighbourhood was destroyed by the government in the 1960s, however if you visit the District Six Museum you can learn all about this vibrant spot. Browse through their fascinating collection of photographs and maps, whilst you can listen to ex-residents and hear their personal stories about the struggle between the community and the government. For some light entertainment head to see the Boulders Beach Penguins. You'll understand why they are called "jackass penguins" when you hear their call. 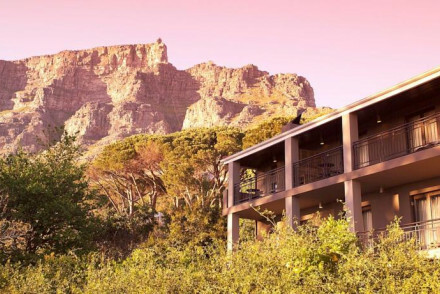 Most of our picks of the best places to stay in Cape Town are found in the centre of the city, but for those who want to make the most of the views, we have a couple of gems just off the beaten track. Our selection offers something for everyone from cheap and cheerful guesthouses to top-notch luxury hotels. 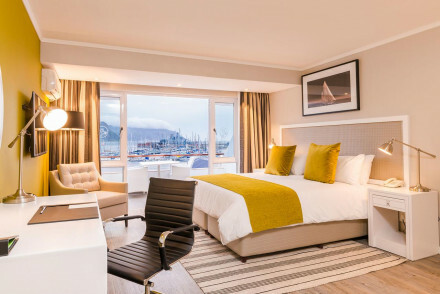 The Cape Grace Hotel is one of the best places to stay in Cape Town if you want to be right on the water. The views, especially from the rooftop spa, are incredible. This is also an excellent choice if you're looking for an attractive, large hotel. And the cheery staff and good food have won it awards. 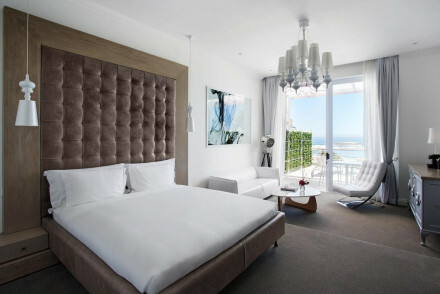 For a city style hotel - but with breathtaking views over Table Bay, Kensington Place is ideal. This eight room hotel has every technology you could possibly need on holidays - from i-pod docking stations to Skype phones. As you might have guessed the decor is modern, but with colourful African touches. 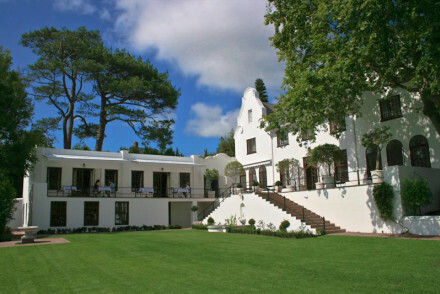 If you're in Cape Town for the wine, we'd recommend you stay at Cellars-Hohenort. The wine cellars are vast, and there's plenty to taste. The emphasis isn't just on the wine though, as well as having an excellent restaurant, this hotel also runs gourmet events, including activities for foodie kids. The spa is top-notch and the gardens are among the finest privately owned gardens in the world. 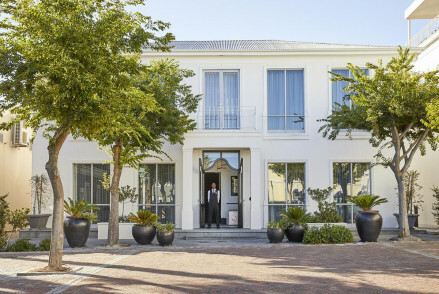 The Vineyard Hotel is a big, luxurious hotel with all the facilities you can imagine - including an award-winning restaurant and a fabulous spa. 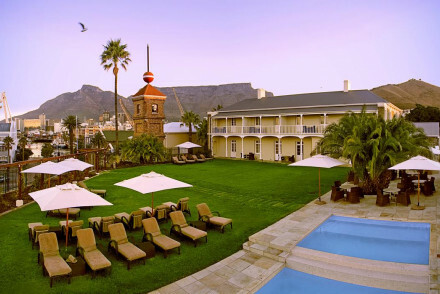 Set within six areas of landscaped garden, this country club style hotel has glorious views of Table Mountain. 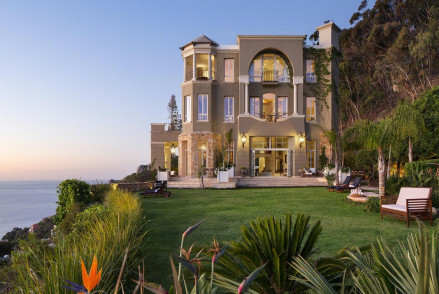 Nova Constantia Boutique Residence provides plush accommodation featuring velvet fabrics and whirlpool baths, whilst there's also an on site pool and tennis courts. 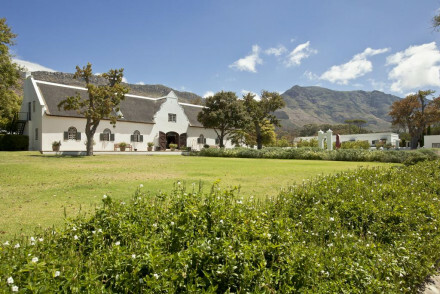 What's more, the nearby Groot Constantia is the oldest wine estate in the country! Scrumptious breakfasts served up each morning. 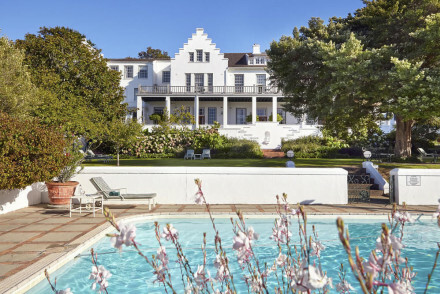 Steenberg Hotel is a located in the picturesque Constantia Valley - half an hour outside the centre of town. Boasting gorgeous accommodation combining classical style with modern furnishings, there are also a number of splendid vineyards in the area whose wines you need to sample! With a pool, 18-hole golf course and a wonderful restaurant, this is an idyllic spot. 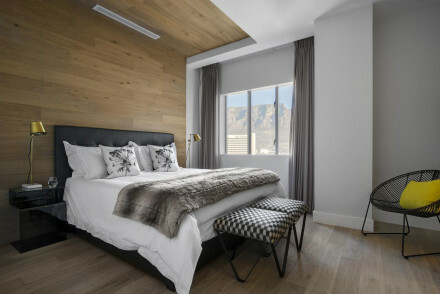 With prices for its 11 rooms starting at £55 per night, the Glen Hotel is easily one of the best places to stay in Cape Town if you're on a budget. It doesn't feel like a budget option though. It's more chic and casual, with comfortable rooms, a large terrace and a pool and spa. Welgelegen is the Dutch word for 'well situated', which is exactly what this guesthouse is. 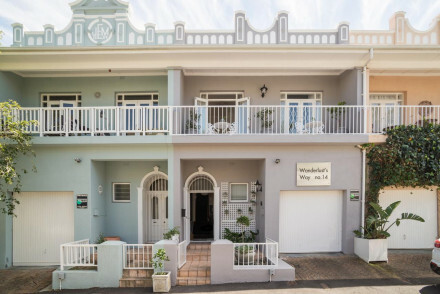 The 13 bedroom Victorian era property is on a leafy cul-de-sac, right around the corner from the trendy bars and restaurants of Long and Kloof Streets. 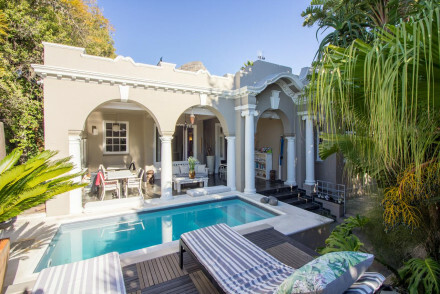 Similar to Welgelegen, An African Villa has been converted from adjacent Victorian terrace houses into a 12 room guesthouse. The interior is in warm, calm colours with an African edge and each room is different. 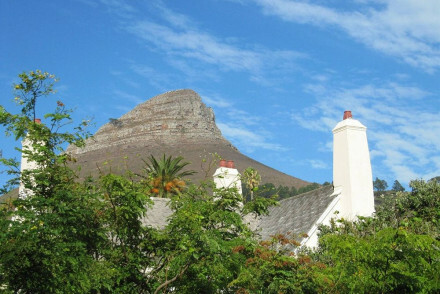 The location, between the waterfront and the Table Mountain Cableway, is a quiet residential pocket with a village-y feel. 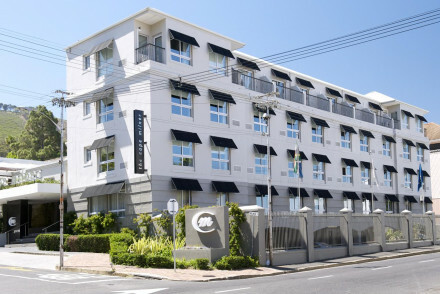 Cape Heritage Hotel is a townhouse boasting a wonderfully central location. Their 17 individually decorated rooms intertwine classical and contemporary design, with the result being classy accommodation that everybody will enjoy. 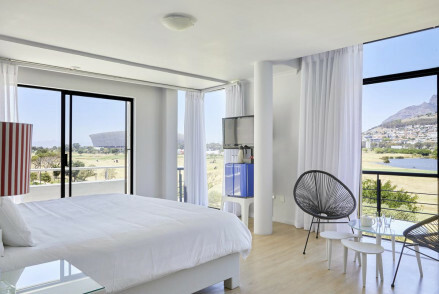 A top city stay, right around the corner from Cape Town's hotspots. The boutique Cape Cadogan is a Georgian property located in an upmarket neighbourhood. 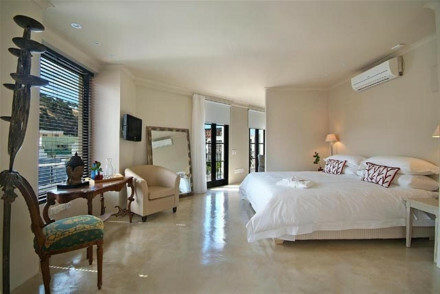 Their chic rooms are light and airy, including traditional features, soft hues and private terraces. Plus, there's a swimming pool to relax in after a day off sightseeing. Walk along the nearby Clifton Beach at sunset for the ultimate romantic experience! 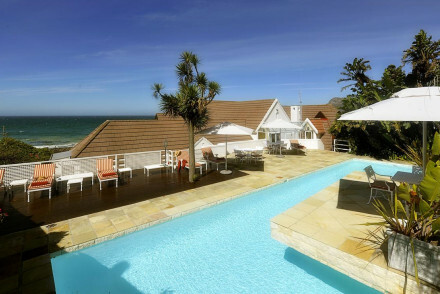 The Twelve Apostles Hotel is the ultimate luxurious city stay. Boasting divine sea and mountain views, their rooms are classical in style with contemporary furnishings for a lovely overall effect. What's more, you're just a few minutes from the beach. Enjoy candlelit dinners at their award-winning restaurant! 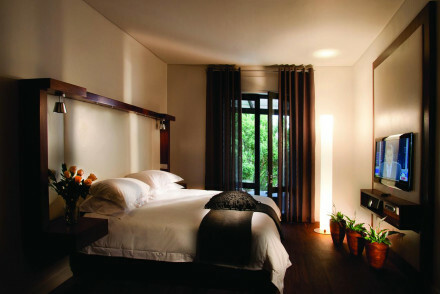 The intimate Alta Bay offers just three airy rooms, all decorated in a chic manner and with private terraces. Boasting fantastic views of the bay, this low-key spot is off-centre enough to provide an incredibly peaceful atmosphere. Lunch and dinner menus available, as well as various spa treatments! 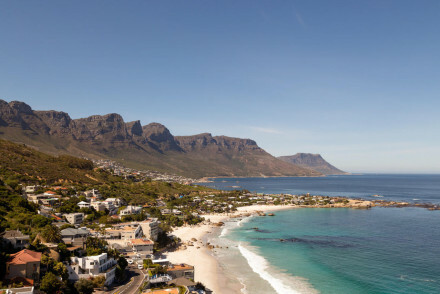 Weather-wise, it's best to visit Cape Town over the summer - the average daily maximum temperature reaching 26°C in February. The sea is also at its warmest at this time of year, with the water being around 21°C. Things liven up from December onwards as this is the beginning of the school holidays. This busy holiday period finishes around the beginning of February. which means that despite the warm weather, you can expect to pay less for accommodation. International visitors can fly into Cape Town International Airport, approximately 12 miles away from the city. British Airways provide direct flights from Heathrow which take about 11 and a half hours. From the airport, take the MyCiti bus to reach the centre of town (stopping off at Civic Centre Bus Station). These leave every 20 minutes and cost 85-90 Rand (about £5). 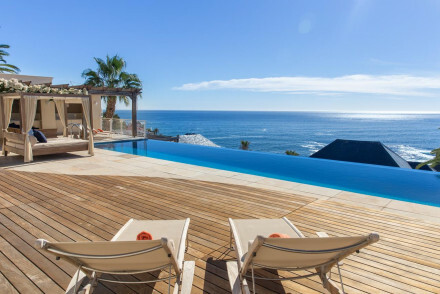 Expand your search to include the best places to stay on the Western Cape? 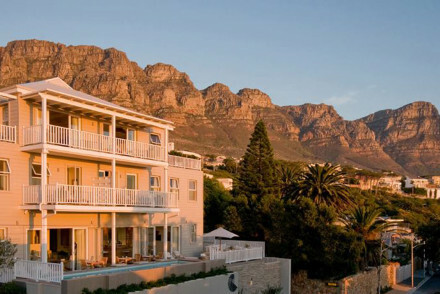 Cheap and cheerful, this friendly little hotel provides a perfect base to explore Cape Town's rugged coastline. A slap-up full English breakfast is included in the rate, as are those epic views. Perfect for outdoorsy-types there is surfing, fishing, golf, and wine tasting all in the local area. Beach Life - Muizenberg is a prime surfing beach: get on your board! Surfing - Muizenberg, your local beach, is all about the surf! Uber chic, utterly tiny, this beautifully decorated three-bedroom townhouse, located in central Sea Point provides traveller's to Cape Town with a very homely base. Rooms include private balconies, the studio room a private terrace, and living areas in which to relax as well as a large kitchen. Each of this hotel's thirteen rooms are a work of art in themselves. Well-priced, it's a lively spot, where travellers can meet and mingle (evening karaoke anyone?). You're walking distance from the sights. B&B and self-catering options. All this plus complimentary coffee throughout the day. Well-priced, well-located, highly recommended. 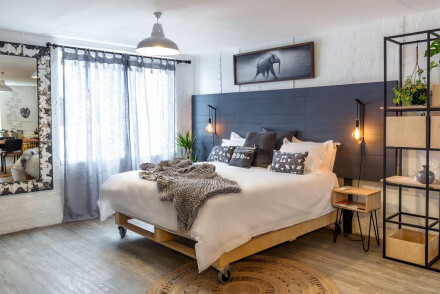 This 17-room guest house enjoys an enviable location in the charming Kalk Bay, just 25-minutes drive from town, yet away from the hustle-and-bustle. Rooms are decorated in cool, nautical palettes of whites and blues and include pool and sea views. Sights nearby - Boulder's Beach, home of South African's penguin population: a must visit! 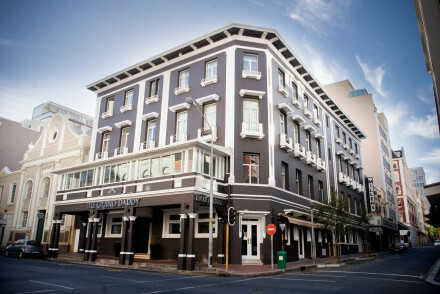 This lively little hotel, located right on Long Street provides stylish accommodation behind a traditional Victorian broekie-lace facade. Large rooms are decorated in creams and pastel hues, with many including private balconies, and monochrome bathrooms. Excellent bars and restaurants nearby. Overlooked by the majestic Simons Kloof mountains and within skipping distance of the quaint naval town of Simon's Town. Chic, modern interiors at a very inviting price. Large, spacious, air-conditioned rooms boast private balconies and contemporary bathrooms. Includes a superb breakfast. This shiny new collection of apartments allows travellers to live like a local. 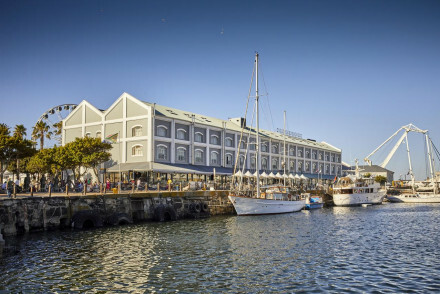 Located in the trendy neighbourhood of Woodstock it is home to some of the city's best brunch spots and bars, and close to the CBD and V&A Waterfront. Bright, vintage-inspired interiors are the epitome of cool. 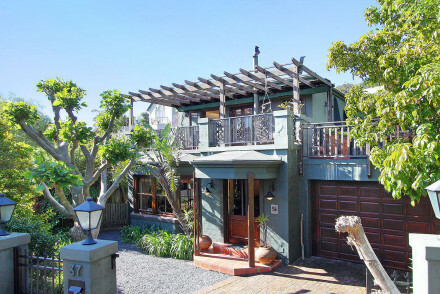 Traditional Victorian townhouse located in the quaint locale of Kalk Bay. With just two guest rooms this property proves that the best things come in small packages. Boasting beautiful interiors, filled with antiques and artwork. There's a charming terrace where breakfast is served in the morning. Dating back to 1879 this heritage hotel has been brought into the 21st-century. Boasting trendy interiors, choose from comfortable rooms to quirky airstream accommodation. Dine on fresh Mediterranean dishes at Thirty Ate or enjoy drinks at Daddy Cool or Sky Bar - there's even an outdoor cinema. Well-priced, well-located this is a great option for every budget. A welcoming stay with far-reaching sea views. Quirky furnishings, bright artworks add a splash of unique character to every room, open-plan bathrooms make for a romantic feel. Indoor-outdoor dining is the perfect coastal living. Don't be fooled by the 'backpacker' tag, there are eight en-suite double rooms and one family room! 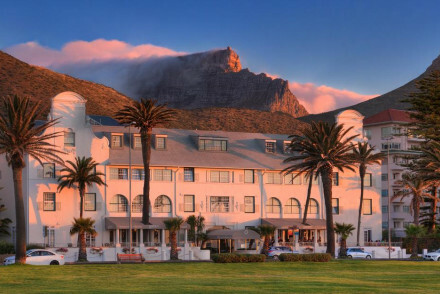 This hotel offers superb service, ensuring your stay in Cape Town is an unforgettable one, all activities booked at the drop of a hat. Communal kitchen, living, dining, and outdoor braai. Great fun. Elegant, sophisticated four-bedroom manor house. 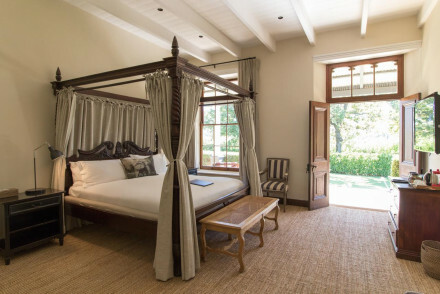 Each room is filled to the rafters with antiques and includes plenty of traditional features: exposed beams, hardwood floors, and capacious four-posters, with private terraces. There are very opulent dining and living rooms. A grown-up stay. A great little family-owned guesthouse in the residential Dido Valley location. Rooms are decorated in a modern-Afro style with smart bathrooms and large baths. Balconies boast epic sea views. 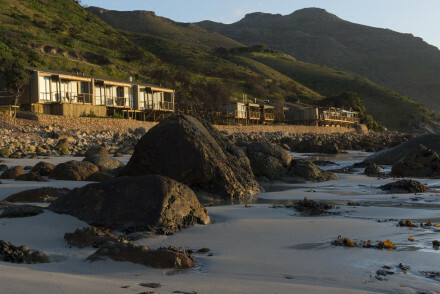 You're a short drive from all the action: Boulder's Beach and Simon's Town. A great breakfast is served. Diving - Divers can explore, to their hearts content the cool waters of False Bay, teaming with wildlife, including sharks! Located in a heritage building, its colonaded balconies and formal white facade provide sophisticated lodgings. 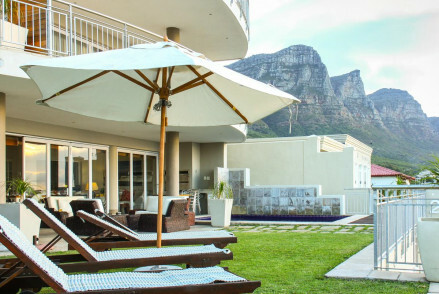 Walking distance from town, there is an inviting pool and a sunny roof terrace with panoramic views of The Twelve Apostles. Relax in your sprawling suite, and bathroom, with all mod cons. 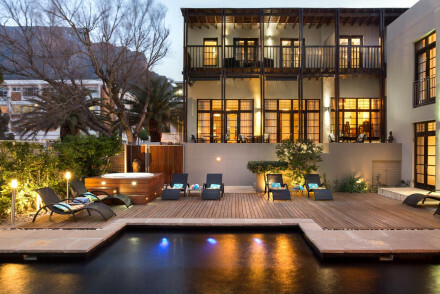 Chic, modern, and well-priced - right in the heart of thriving Green Point. Light filled rooms boast sea views and quirky interiors. You're walking distance from much of the action and lots of great restaurants. The in house restaurant Sótano serves up delicious Mediterranean dishes and cocktails. Each of the Boat House's six suites bear nautical names. 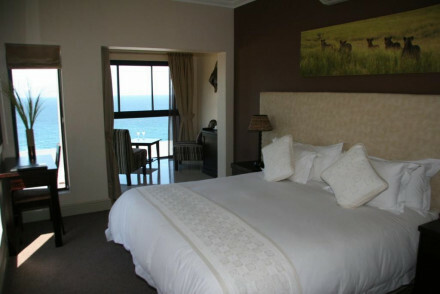 Fully equipped and elegantly furnished, all include en-suite bathrooms and views across False Bay. Your hosts ensure you'll feel right at home, starting with a cooked breakfast. 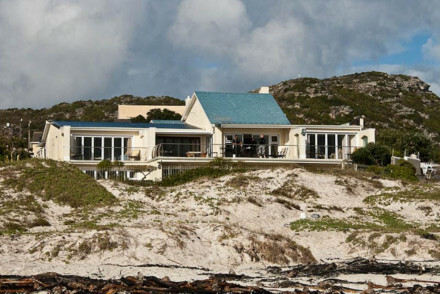 Walking distance from Simon's Town and Boulder's Beach. Quaint five-bedroom hotel in the residential suburb of Tamboerskloof. Despite its colonila facade, rooms are decorated in a modern-African style, with plenty of raw materials and organic textiles. Al fresco breakfasts are a treat, as is the plunge pool. Attentive hosts make yours a personable stay. 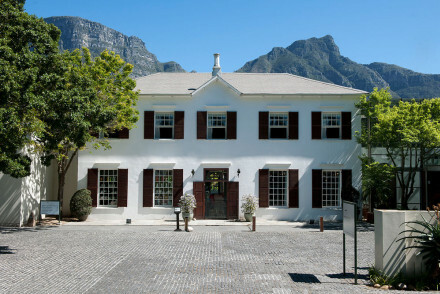 This historic hotel, dating back to 1812, is located in a corner of Cape Town steeped in heritage. Entering its doors stepping into a bygone era. Polished oak furniture, creaking floorboards, and classic bathrooms. 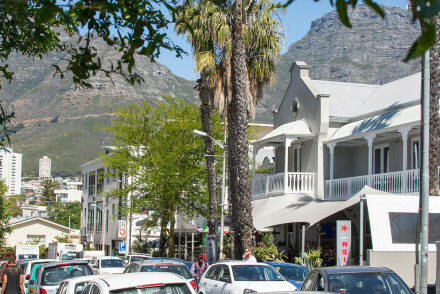 Bo Kaap, The Waterfront, and much more are within walking distance. Very elegant. Charming coastal accommodation with an excellent price tag. Luxurious rooms and living areas make the most of its coastal views. A sumptuous breakfast is included in the rate plus there's an inviting outdoor pool. Great value, great location. A much-recommended stay. 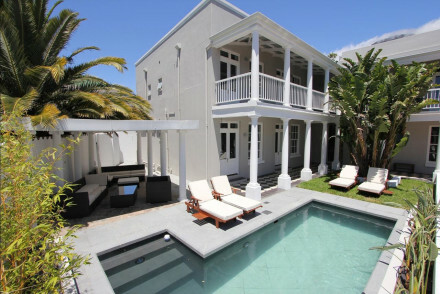 Modern, stylish interiors, perfectly located equidistance between Cape Town and its beaches. All the mod cons are provided, plus there's a pool, gym, and spa. Large suites are decorated in muted hues and include en-suite bathrooms. All this plus a superb breakfast. Intimate nine-bedroom owner managed hotel providing a choice of hotel or self-catering accommodation. 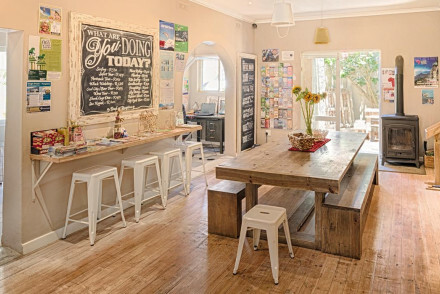 The location is what makes this place completely unique: right in the heart of the characterful Bo Kaap area. Sample some of the local Cape Malay flavours in the highly-recommended restaurant. Owned by The Fleming family, this collection of five self-catering cottages is ideal for families. 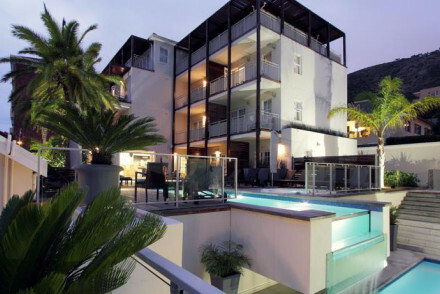 Surrounded by sun-dappled gardens, in the residential locale of Hout Bay, it's an authentic Cape Town stay. Large living spaces: lounges, dining, bedrooms, and kitchen open up onto a private terrace. 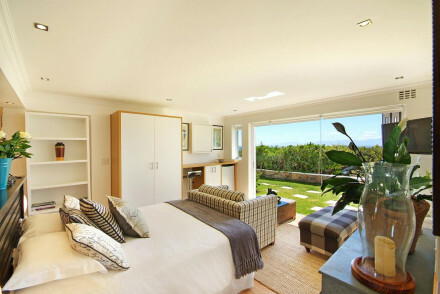 A five-bedroom owner managed guest house is perfectly located for the popular Boulder's Beach. Trendy rooms, with in-room tubs, boast decorative flourishes and sea views. The owner is a real foodie, and a three-course home-cooked dinner is served from Tuesday-Sunday. Superb. 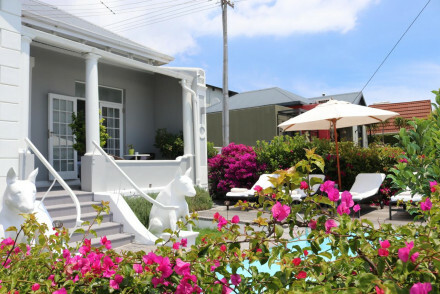 This owner-managed boutique hotel provides laidback living, smack bang in the middle of the charming Simon's Town. A grown-up stay, children above the age of 16 are permitted. Each of its five-rooms has pristine views of the Atlantic Ocean, private balconies, and large bathrooms. Delightful. These chic, self-catering apartments fit in well in their downtown location. Salt River, a formerly industrial part of town has enjoyed something of a facelift in recent years and is now a favourite spot amongst young professionals, bringing with it all the trendy cafés and trimmings. Great value. 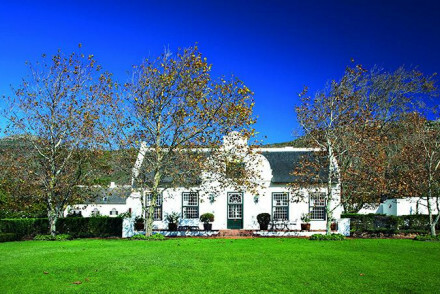 Dating back to 1682 this traditional farmhouse provides some old-world charm accompanied by some new-world wines. Dine at Catharina’s or the relaxed but equally sophisticated Bistro Sixteen82. Modern luxuries come in the form of a pool, spa, and golf course. Lavish rooms complete the stay. 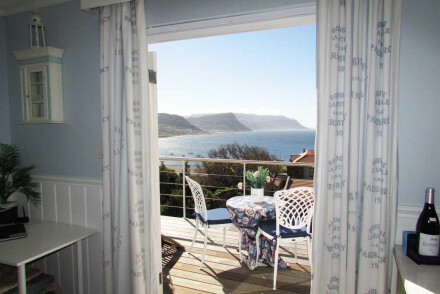 Located in central Mouille Point this comfortable guest house provides a homely stay in a great spot. You're walking distance from many of The Cape's most popular attractions. Enjoy a sumptuous breakfast out on your private balcony. A great stay. This quirky hotel showcases statement pieces against a white canvas backdrop. Design lovers will feel right at home. Large rooms are all unique, plus there's a very inviting outdoor pool. The on-site coffee house serves an excellent breakfast in the morning. Walking distance from Cape Town's sights. You can't get any closer to town whilst still being surrounded by trees and greenery. 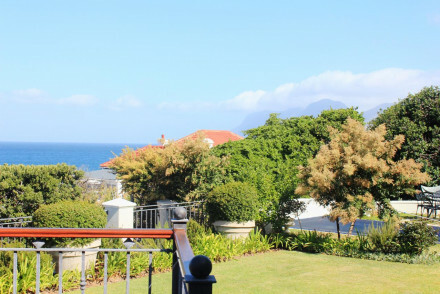 This charming Cape-Dutch style hotel is owned by French couple, Maxime and Mélodie, who add a touch of 'je ne sais quois' to this intimate little hotel. Its five suites, two-bed cottage, and gardens are divine. 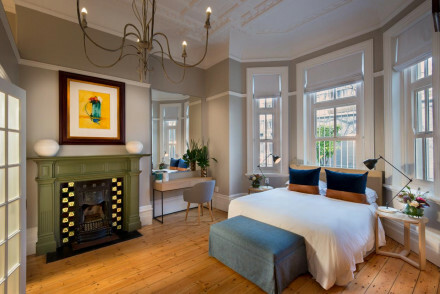 An individual little boutique hotel, comprising a clever combination of a Victorian house and a modern bungalow, it's won awards for its excellent location and boutique style. All the benefits of a five-star stay: 24/7 concierge, a superb breakfast, spa with the addition of those Signal HIll views. You're in good hands at this delightful 1930s art-deco abode. The owners live just next door and are on hand to help during your stay. Each room is decorated in a modern style with African accents. 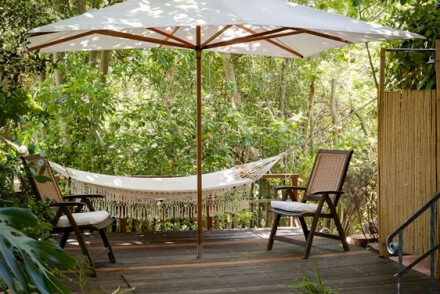 Sit out and listen to nature: a proper 'hideaway'. No restaurant, each suite includes a kitchenette. Housed in a colonial-style building, 50m from the Atlantic Ocean, the interiors of this hotel are much more modern. Rooms include Macbook computers, blue tooth speakers: all the mod cons. An excellent breakfast is included plus there is a trendy bar. Excellently located and great value. 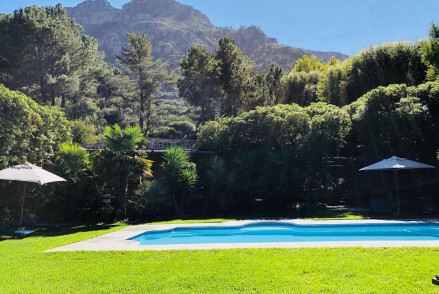 Designed by one of Cape Town's most esteemed architects, Sir Herbert Baker, this century-old property is located in the residential locale of Claremont, in the city's southern suburbs. 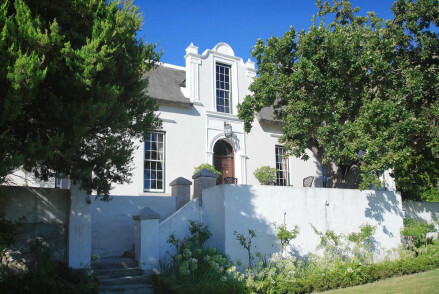 Its classic Cape Dutch style creates an air of elegance. Plus there's a spa, outdoor pool, and superb breakfast. Total relaxation - Located in the residential suburb of Claremont, it's a peaceful spot, yet well-located. A relaxing base! Beautiful, with rooms decorated in bright blue and pinks, with sumptuous velvets and vibrate artworks. All make the most of those impressive sea views, or look out onto private garden terraces. There's an excellent spa and fine dining at the hotel and within walking distance. Great for couples. One of a kind! This architecturally impressive hotel stands out from the rest. 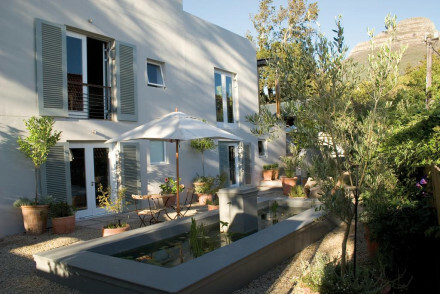 Its white, cubist design strikes a stark contrast against the leafy, gardens and secluded Hout Bay setting. Rooms are minimal but with all the necessities, plus there's an inviting pool. Breakfast is served. We love! 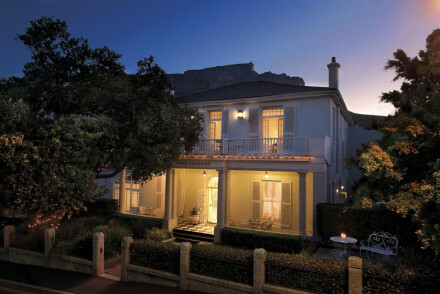 The best of both world's: perfectly located between Cape Town's CBD and Table Mountain National Park. Guests love the personable service and residential surrounds of this hotel - it's a real home-from-home. Individually decorated rooms include modern bathrooms, plus there's an outdoor pool. Dating back to the 19th-century, this ten-room hotel combines architectural heritage with modern interiors. Rooms benefit from high-ceilings and ocean views and are decorated in a quirky style. Perfectly located for exploring the town. 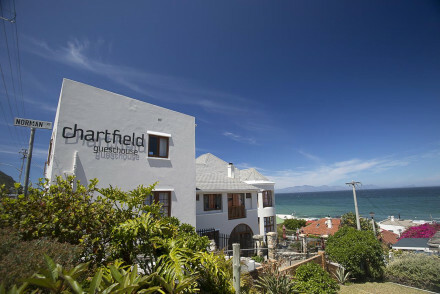 This historic six-bedroom hotel overlooks the vibrant fishing village of Kalk Bay. Rooms include luxurious fabrics, bathrooms with all the mod cons, and the best open out onto private balconies with fabulous sea views. 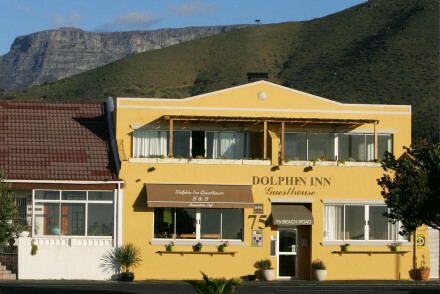 Excellent dining, you're just a 1 km walk from the bustling Kalk Bay harbour. This historic hotel occupies a grand position along Sea Points promenade. Behind its traditional white Cape Dutch facade the hotel houses classic interiors with large rooms, both sea and mountain facing. Choose between fine dining at Harvey's or relax at the Gingko spa, plus live Jazz on Sundays. Located in the popular suburb of Tamboerskloof, this colourful and quirky guest house sets itself apart from the rest. Open-plan rooms celebrate modern Africa with Xhosa paintings and afro-motifs adorning the walls. There's no restaurant but an excellent breakfast sets you up for the day. Great walks - Take the cable car up Table Mountain and traverse its top! 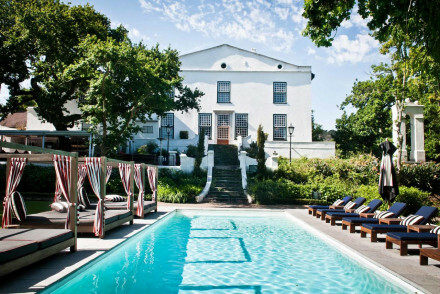 Nestled in the heart of Constantia, this 17th-century hotel is surrounded by manicured gardens. A foodie's favourite choose from modern Italian dishes at Blanko, comfort dishes at la Belle, cocktails at Incognito, or unique dining at The Supper Club. Lavish rooms, a huge pool, and spa. Divine. A collection of sleek and spacious penthouse apartments located right in the city centre, with wrap-around views of its sparkling skyline. With a fully-stocked kitchen, living and dining area, and all the mod cons. Perfect for both business and pleasure. 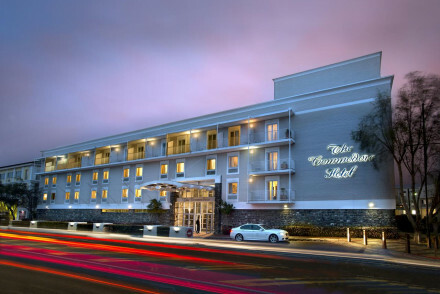 Upscale, stylish hotel within walking distance of Cape Town's V&A Waterfront and boasting far reaching views across to Table Mountain. An excellent breakfast is served each morning, with seafood dishes and regional wines served at Clipper Restaurant. There's a spa, pool, gym, and much more. 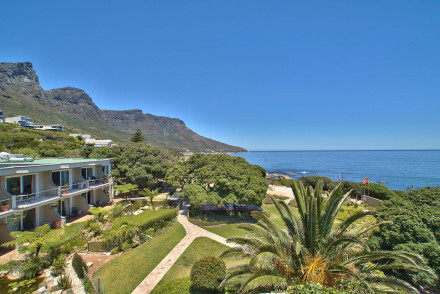 Surrounded by lush foliage, with views of Camp's Bay below and Signal Hill above. 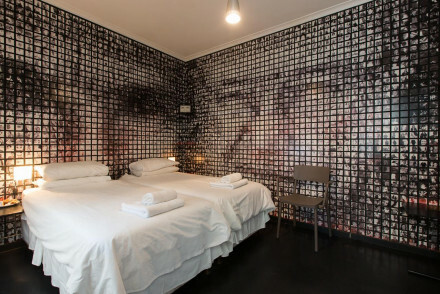 Rooms include sun-dappled terraces with retro interiors including cowhide carpets and local artwork. An excellent breakfast is served plus there's an inviting outdoor pool. Sleek, modern, self-catering apartments with all the amenities of a hotel. 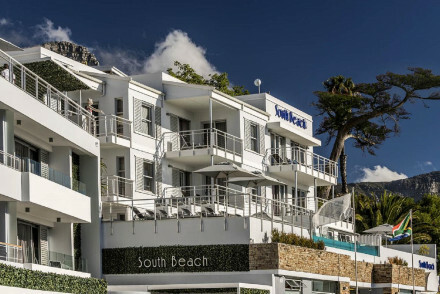 Located right along Camps Bay's popular promenade, guests benefit from a central location and sea views. Live like a local, with your own sitting room, kitchen and private balcony. Very family friendly and great value. Homely, four-bedroom manor house located along the peaceful Portswood Ridge yet within walking distance of the V&A Waterfront. Service is warm, with every attention to detail. There's a pool, bar, spa, gym and meals served at the excellent Dash restaurant. Excellent value five- star stay. 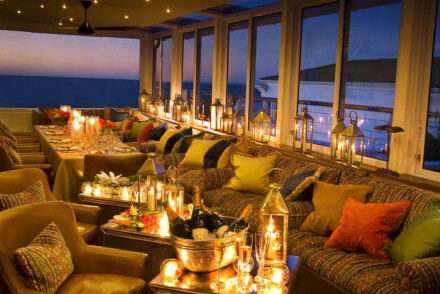 Located along Camp's Bay's promenade, with the trendiest rooftop bar, The Marly is popular with guests and locals. Choose from mountain or sea facing views: all are an excellent size, with lavish bathrooms and private balconies. Excellent breakfast included plus gourmet Japanese dining at Umi. Sit out on your balcony and watch the boats come and go. 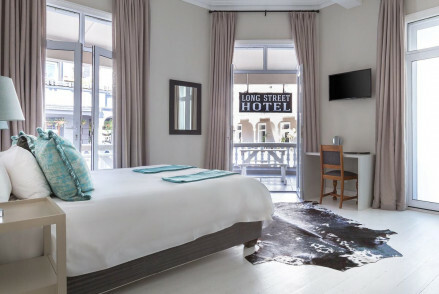 Overlooking the bustling V&A Waterfront you're right in the middle of things at this stylish boutique hotel. Excellent dining includes a sumptuous breakfast of buffet tables piled high, plus excellent coffee and al fresco lunch and dinners. 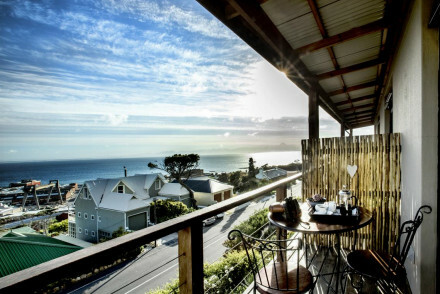 Local exploring - You can spot many of Cape Town's best sights from the comfort of your own private balcony! Stylish, sophisticated, this is one of Cape Town's sleekest hotels, brought to you by this international chain. Enormous rooms are decorated in muted tones and natural materials combining stone, wood, and linear shapes. There's a sleek bar, pool, all the mod cons in room, and a superb breakfast. 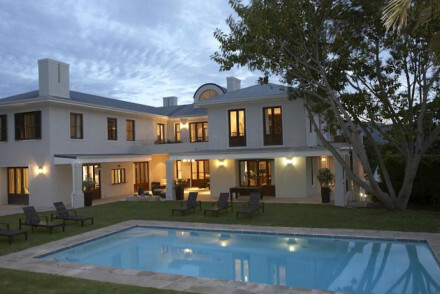 Refined elegance surrounded by Franschhoek's rolling hills. 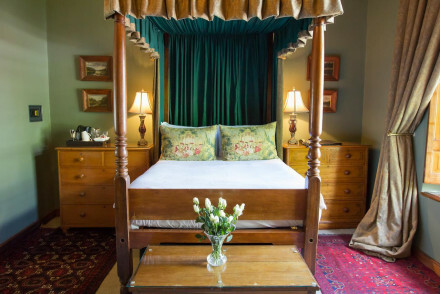 Boasting lavish suites, with four-poster beds, richly upholstered furnishings, roll-top baths, welcome hampers, and a well-stocked mini bar, that open up onto rolling lawns. There's an inviting pool, tennis courts, and fine dining to boot. Boasting some impressive ocean views, in a quiet location, you'd never believe you were just a 30-minute drive from Cape Town. An intimate, relaxing, luxurious stay located along five miles of pristine beach. Each of its 12 bedrooms are modern, stylish and boast every creature comfort. Divine. 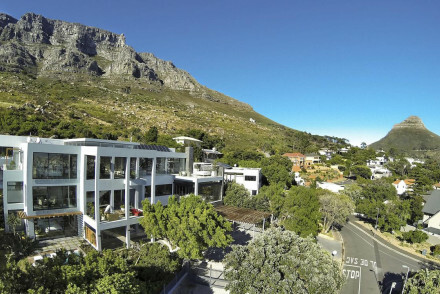 Located along upmarket Clifton's smartest address, Kloof Road, guests are afforded the best views of the Atlantic Sea below. Apartments are decorated in a modern, Afro-chic style. Breakfast is served daily, plus there's an honesty bar. The rooftop pool and deck is a real highlight. Dating back to the 1800s, this former harbour master's abode provides luxurious and intimate accommodation. Individually decorated rooms overlook its gardens and the waterfront beyond. An indulgent breakfast is served each morning. Spa services can be arranged at their nextdoor hotel. 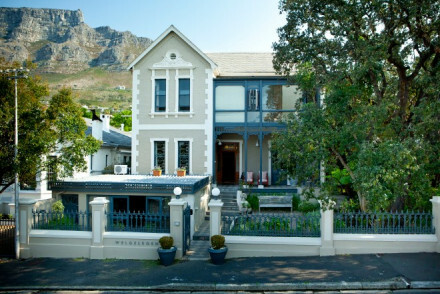 A charming collection of 19th-century houses, turned into 18 stylish apartments, providing a very stylish base to explore Cape Town. Walking distance from many of the city's main attractions, you can be at the beach in 20 minutes. Excellent breakfast and spacious suites. Highly recommended. 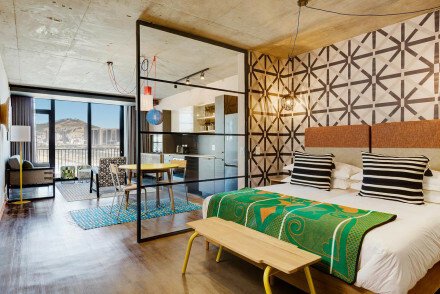 Located right until the foothills of Table Mountain, this uber trendy hotel makes its mark with quirky themed interiors. Proof that the best things come in small sizes this bijous hotel includes lots of lovely extras: complimentary high-tea, house drinks, and a fabulous breakfast. A top pick. 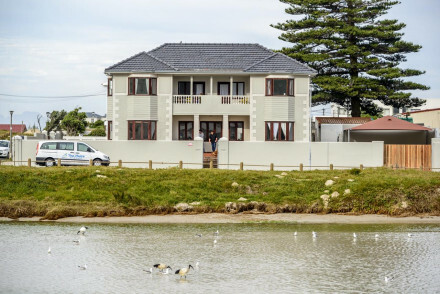 Cape Cod meets Cape Town, a little more expensive than other options, it's located along one of the city's most expensive coastal strips: and you get what you pay for. Beautifully designed rooms and sea views. Plus a superb breakfast and complimentary snacks. Pool, spa, massage, yoga, bliss. 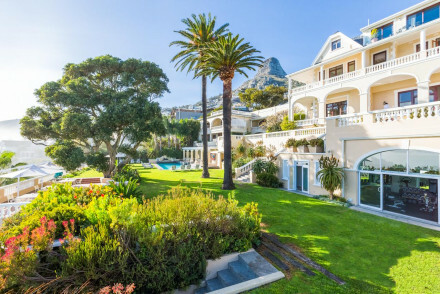 Nestled beneath Table Mountain, in the smart neighbourhood of Clifton this opulent six-bedroom hotel provides guest with an utterly romantic stay. Far reaching views of the Atlantic Ocean from your private balcony are absolute bliss. There's a spa, fine dining, and unique interior flourishes. 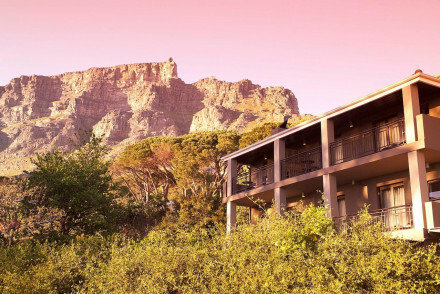 The only hotel within Table Mountain's National Park, this luxurious lodge provides five-star accommodation combined with gourmet dining. A small team caters to every need, but the real charm is in the attention to detail. Rooms include capacious beds and views across the Atlantic Ocean. Divine.